Um who was that?” I asked, waving my hand in front of my face. “Okay guys, doesn’t matter.” Even though I had asked the question. Thankfully the breezy mountain air swooshed through the half-open windows and replaced any offensive olfactory evidence with its piney freshness. We all took great gulps – even the offender, whoever that was. It’s never any of them. Even though it was clearly someone. Nobody heard it, but it definitely happened. Like the empty marshmallow bag lying in the pantry. It’s an extra ten steps to the trash can, where an empty bag should be, but that’s neither here nor there – or rather, it’s here, in plain view. Empty. I distinctly told them: one each. Which means the bag should still be three quarters full. “Who finished all the marshmallows?” I asked the pantry. Oh, that would be… nobody. Nobody drew on the car seat with navy blue sharpie. Nobody ate the entire bag of marshmallows. Nobody farted. Nobody cut a hole in her leggings. With scissors. The evidence is right there, for all to see (or smell). So why don’t any of them own up to it? I used to do the same thing as a kid. In my mind, it was better to say not me, or I don’t know, than confess to the kiddy crime (not that farting is a crime, but it is viewed as some kind of minor assault). Implicating myself was too awful to contemplate. Why would I admit I had done something less than good? Even though it was plainly obvious that it couldn’t have been anyone but me, I didn’t want to admit to myself I had transgressed in any real or imaginary way, and I would never admit it to anyone else. Like: were those marshmallows so yummy? Or: was something bothering you on your leggings that you wanted to cut off? How about: is it more fun to draw on the car seat than on a piece of paper? I want to get the most information, honestly and directly – and if there’s even an aura of accusation, natural instinct is to go on the defensive. Evade. Or even lie a little. Nope, wasn’t me! As for the farting – do I really need to know? Who cares who it was. Everyone farts. Better to just roll down the window. This entry was posted in A to Z Challenge, Exploring Family and tagged #atozchallenge, family, fart, kids, window by Nicki. Bookmark the permalink. Great topic for the letter U. I have read quite a few umbrella posts so your choice is very uh….. refreshing?!! Sometimes it is just best not to know-and this can be true for all things-not just farts! 😉 Dropped by for A-Z. Your foreign feasts are amazing – thanks for coming by :). Enjoy the last few days! So, what did you write for “F”??? I love it! B. So glad you liked this one Barb! Actually, I think it would go well with my camo jeans ;)! 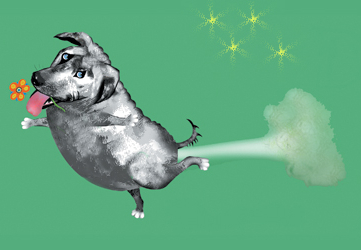 Learning to say “Excuse Me” after (not deliberately) farting may be a solution… .